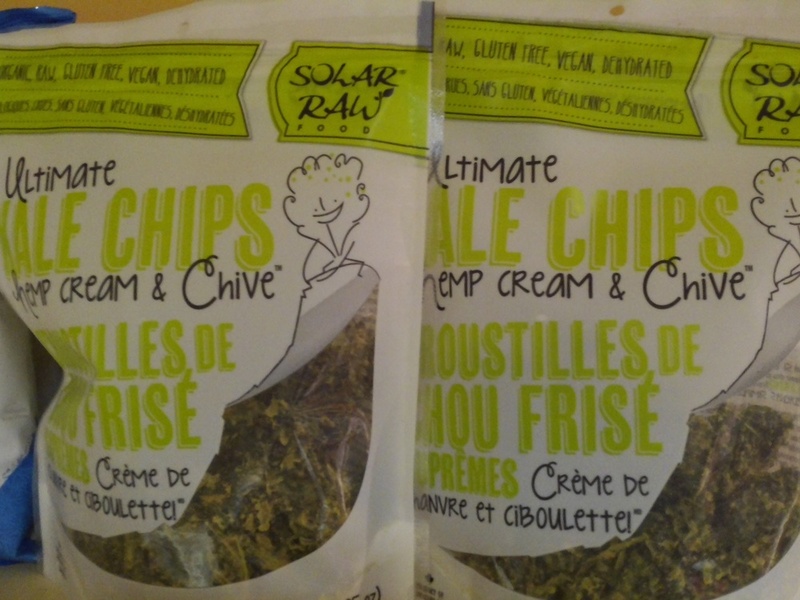 We have a wide assortment of Vegan products from chocolate bars and chips to "cheese" and frozen desserts. In this section you'll see our certified vegan products but we also have several other products that are vegan but not certified as such. 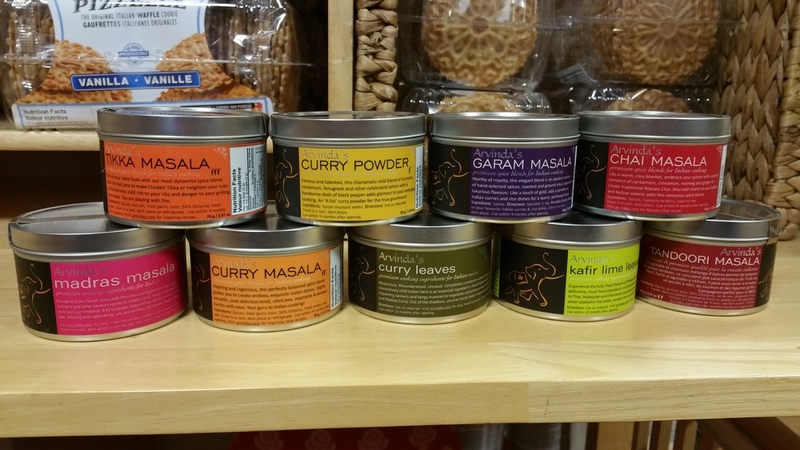 We have a large selection of Certified Organic products from chocolate and chips to spices and dairy. 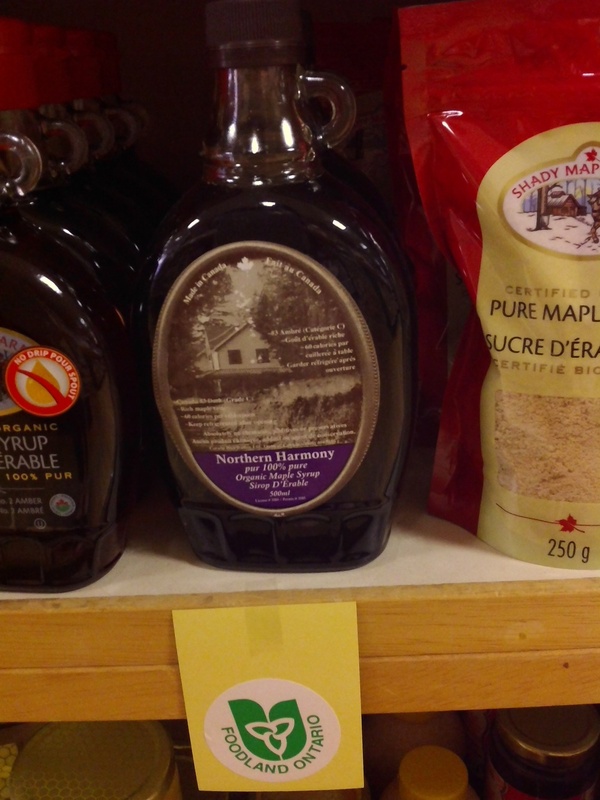 In this section you'll see our certified organic products but we have lots of other products that are not certified by Canada Organics or USDA Organic but which use mainly - or almost entirely - organic ingredients. 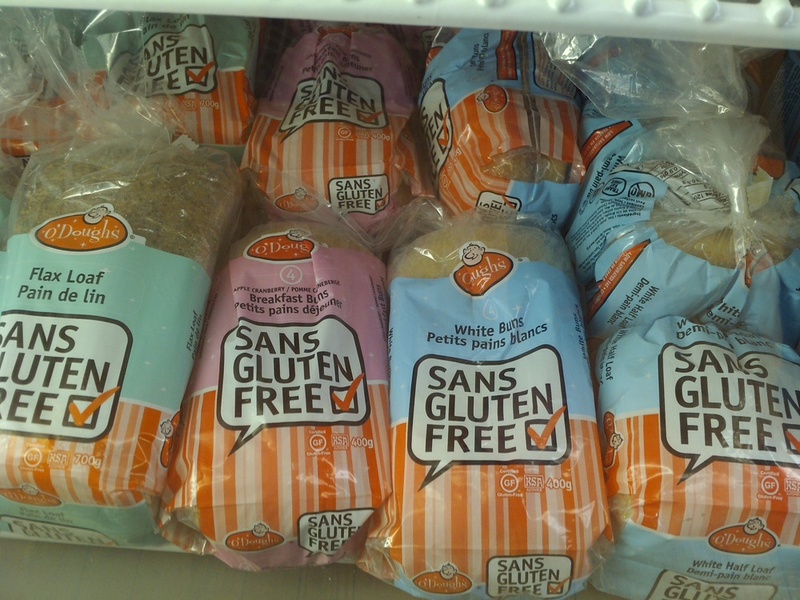 We carry a wide selection of Grains & Cereals including organic, gluten free and alternative. 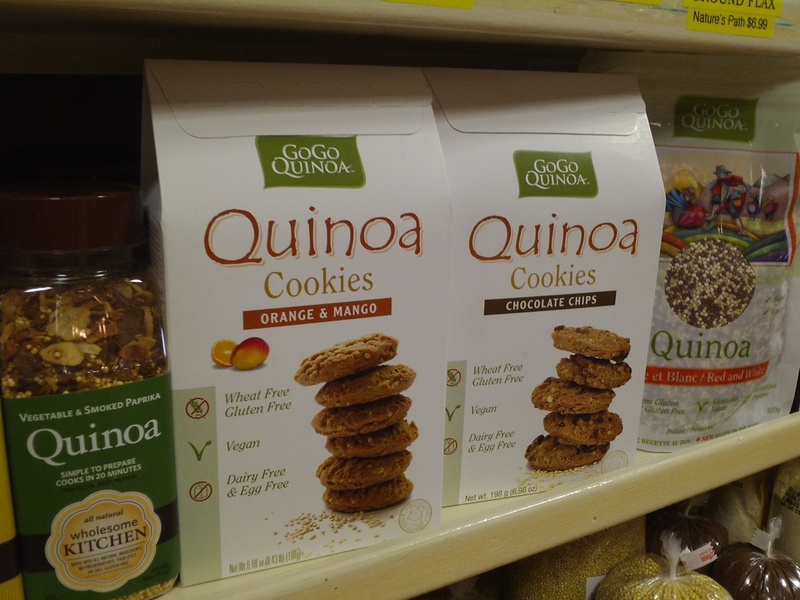 Everything from quinoa, teff, and farro to soft whole wheat (wheat berries) and oat kernels. Ask us how to cook them and check out our recipes section for delicious meal options! Plus - most of our bulk grains are grown right here in Canada! One Degree Organic Foods recipe! What's with Salba and Chia? Posted on May 29, 2015 by Chantal Garneau and filed under Foods and tagged cooking. This may seem an obvious category at first … but take into account the many alternative spelt, kamut, rice and quinoa pastas plus the choice of conventional or organic semolina pastas and you’ll see that it’s not just about boring old pasta shapes anymore! Below we've listed what the company's main pasta ingredient is but they are much more interesting than this list can possible suggest! We also have the equipment to make your own pasta as well as pasta utensils and tools. It's not hard but it is fun and tasty! ... see also under "Kitchen Gadgets"
Posted on May 25, 2015 by Chantal Garneau and filed under Foods and tagged cooking. Sauces & Condiments are something we use every day and they can change a whole meal with just a dash of flavour! We carry several varieties of hot sauce - like Blair's that comes in Sweet to Death or Niagara Habanero that is scorching. Our line of organic mustards are sublime and we even carry a sugarless, low sodium ketchup for those that just can't do without. 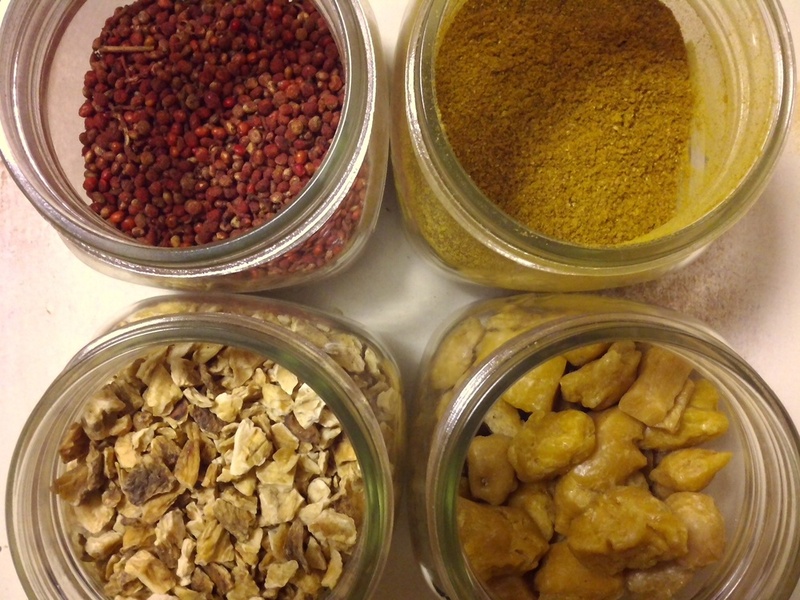 Check the World Cuisine category too, for more amazing and delicious condiments. And by all means come in and see what we can do to help you liven up old stand-bys or find new favourites! Our selection of Oils & Vinegars is excellent. From avocado oil to olive oil and apple cider vinegar to rice vinegar, we have so many choices. We carry single ingredient organic oils and vinegars of the highest quality, as well as cold pressed, extra virgin oils to complete your culinary cupboards. What's the Big Diff Between Cooking Oils? What's that floating in my vinegar? Red Beans & Rice, Pea Soup, Arroz con Pollo, Greek Beans, these are some of our favourite foods that come to mind in this section. We have lots of packaged bulk rice & beans including many different varieties of lentils and a good assortment of organic choices too. 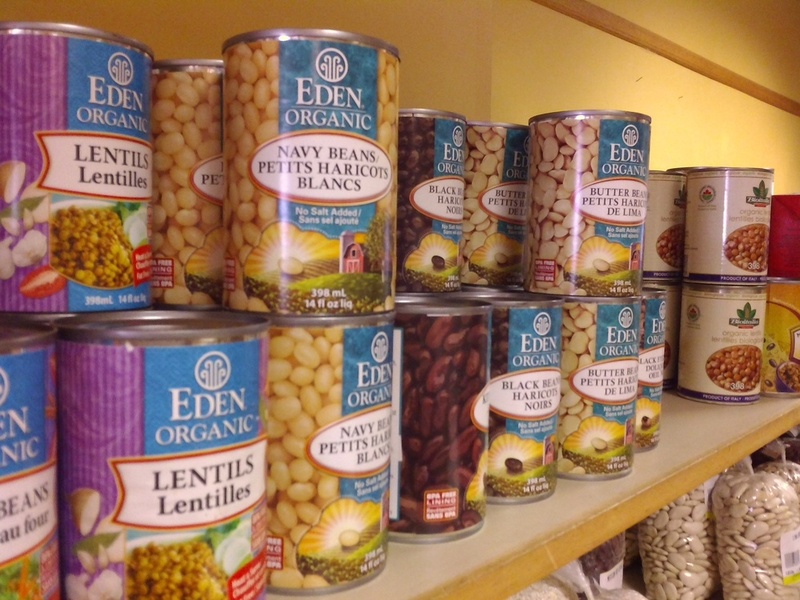 Eden makes a vast line of organic tinned beans with no additives like salt or sugar and there's no soaking required! Their can liners are BPA free too. We have some wonderful basmati rices from the USA & India in organic and conventional. Making risotto? We've got arborio rice for that. Rice pudding more your thing? We've got sticky (short) rices in brown or white for that! So come see what we have and add some legumes or rices to your diet!